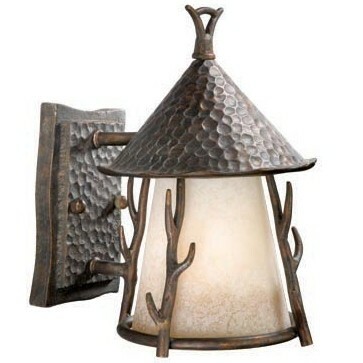 The autumn patina finish gives our Woodland Outdoor Sconce that rustic outdoors look. Twig design accents and hammered top are accented with the french scavo glass lens. Uses (1) 100 watt bulb.